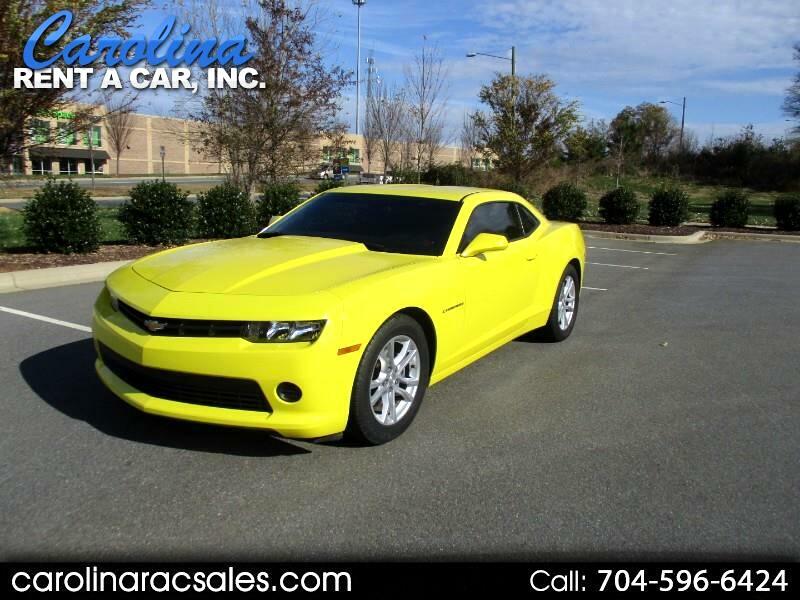 Used 2015 Chevrolet Camaro 2LS Coupe for Sale in Charlotte NC 28213 Carolina Rent A Car, Inc. Very nice low mileage LS Camaro available in Charlotte, NC. Previous owner was involved in a minor accident with little to no damage to rear bumper. We purchased with this car with 38,389 miles on it for a special use customer and now selling it. Priced to move or going to Dealer Auto Auction in January. This car is equipped with: Tinted Windows, Spectre Air Intake System, Dual Exhaust, power windows, power locks, cruise control, OnStar, keyless entry, am/fm/xm radio with cd player, power reclining driver and passenger seat, steering wheel controls and much more! Want to add leather, heated seats or a backup camera? We can assist with that and get it done at our cost. Call John at 704-596-6424 to schedule a time to see this car and take it for a test drive. FACTORY POWERTRAIN WARRANTY REMAINS! ADDITIONAL SERVICE CONTRACT AVAILABLE!